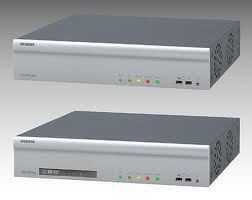 Sistore MX hybrid DVR.The new recording solution from Siemens. Hybrid DVR recording solutions are growing in popularity. The Sistore Mx hybrid is Siemens way of recognising the challenges ahead when it comes to migrating from analogue to IP cameras over the coming months and years. Posted in IP CCTV | Comments Off on Sistore MX hybrid DVR.The new recording solution from Siemens. The V3100 is a hybrid unit that can handle both analogue and IP cameras. The Ip camera range they will integrate with is limited but Panasonic are keen to join forces with Xtralis and this will open up the market place considerably for them.